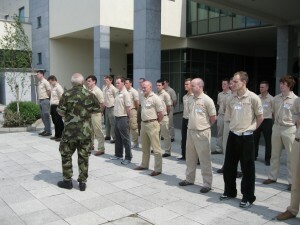 Corporate team building excursions are an excellent way to improve employee motivation and productivity. 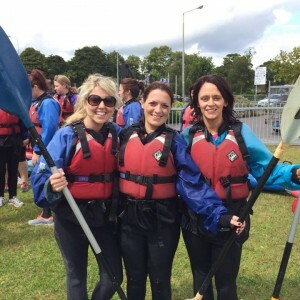 Combining educational experiences and interactive exercises, upriver.ie can help your corporate team improve their motivation and productivity, while having fun kayaking or canoeing in beautiful locations! 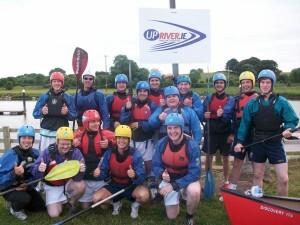 Using kayaking, camping or orienteering as corporate team building activities is uniquely effective. Team dynamics are exposed in a new environment and comfort zones are expanded as we guide you on both an internal and external journey of discovery. Our guides are trained to teach you about Kayaking and the surrounding river, as well as to facilitate your groups’ goals and objectives. Traveling in a group via kayak involves good communication and group awareness, as well as teamwork to stay together and be safe and comfortable in the wilderness. Developing methods of communication and problem solving are highly valued in today’s competitive environment. Keeping team members focused on the learning process and continuing team development are crucial components of any successful organization. We’ve worked with dozens of corporations, sports teams and other organizations, and youth groups of all kinds who have found our programs overwhelmingly successful. Please contact us for a detailed proposal based on your goals, and ask us for our references. It is not your usual “fall back into your coworkers arms to gain trust or paddle around some orange cones” kind of program. Up river excursions are all about fun and challenges! All gear is supplied and guests can arrange to be picked up and returned via water taxi from a choice of two hotels – serious way to start and end your day! If the aches and pains set in you can finish with a sauna swim and massage back at the Carlton hotel! Summer Kayaktivity Camps 2017 start on the 17th July.